XPN MusicNotes: Kings of Leon and George Clinton tease new albums, Daft Punk and The Weeknd tease collaboration? Ahead of his opening slot for George Clinton & Parliament Funkadelic at the Ardmore Music Hall on November 27th, we asked local musician Nik Greeley to give us a quick lesson in Funk 101. Read his thoughts below. 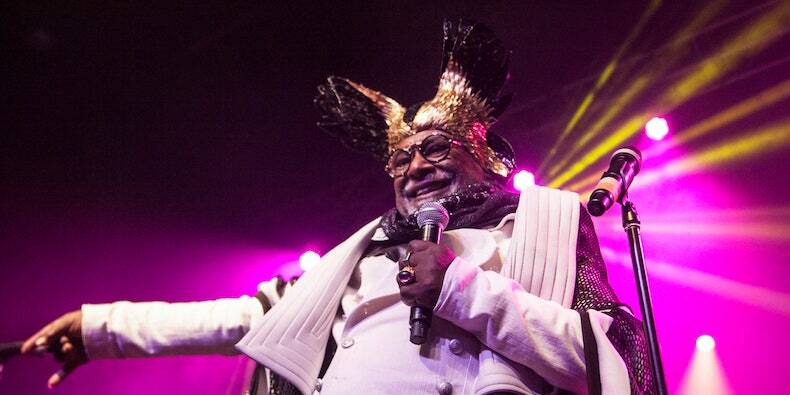 Legedary funk man George Clinton performs at Sands Bethlehem tonight. Leading a number of incarnations of his bands Parliament and Funkadelic since the 50s, Clinton became known as the Grandfather of Funk after catapulting the genre into popularity. Now running a solo act, Clinton performed “Uptown Funk” with Mark Ronson, Mary J Blige and Grandmaster Flash at Glastonbury just last week. Pick up tickets for tonight’s concert here and watch the video for his song “Atomic Dog” below. War – the band that released the hip, funky song “Low Rider” in 1975 – will be coming to the Dell Music Center tonight. They will be playing in addition to George Cinton’s late band, Parliament Funkadelic. Tickets are $40 plus fees, the doors open at 6 p.m. Get down and get funky! Noisemaking goth-punks Psychic Teens return to Kung Fu Necktie, opening for recent Sub Pop Records signees Metz. Like the Teens, Metz makes high-energy wall-of-guitar ragers, like the song “Headache” which you can download below.